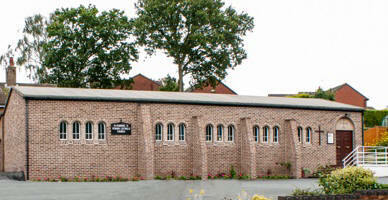 Welcome to the website for St. Gabriel's Church, Alsager. St. Gabriel's church is situated in south-east Cheshire and is part of the Diocese of Shrewsbury. Here at St. Gabriel's we celebrate Mass at 6:30 on Saturday evening and at 11.30 on Sunday mornings. Evening and weekday Mass times can be found by following this link where weekly newsletters will be added and details of events in the parish will be added. Follow this link to see other websites that may be of interest, and for links such as readings and prayers. Whether you are a visitor to the parish, new to the area or wish to visit St Gabriel's then you will receive a warm welcome. Follow the links at the top of each page to navigate around the site.